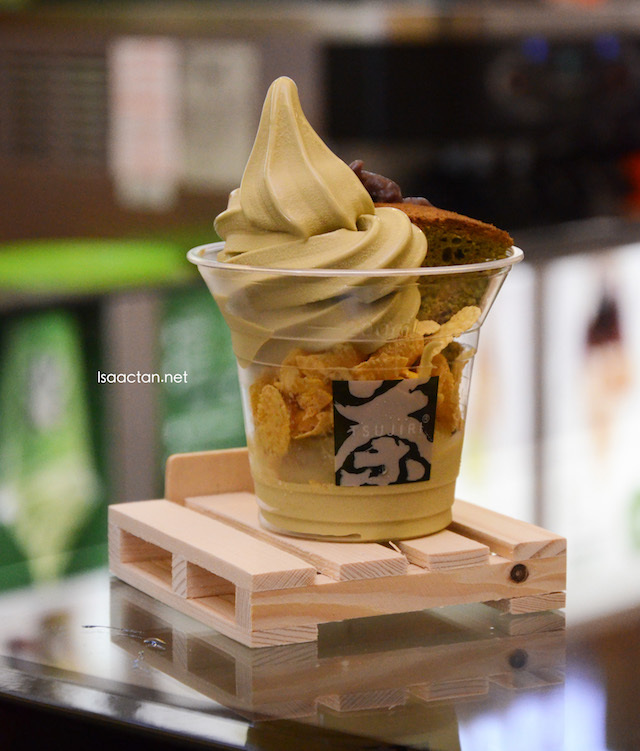 Another delectable Japanese green tea dessert spot has opened up, this time at Damansara Uptown. 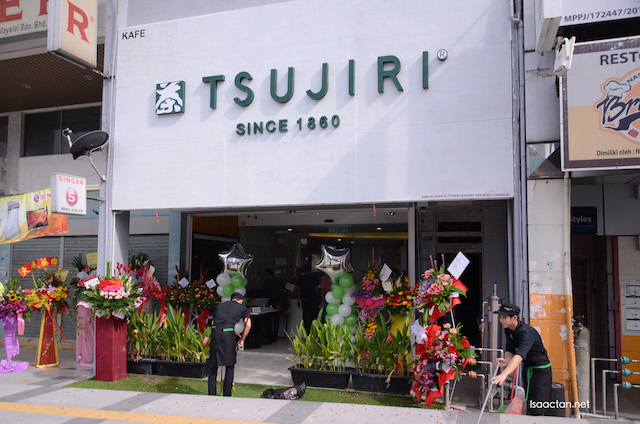 TSUJIRI, an established green tea brand from Japan with 155 years of heritage recently launched their first outlet in Malaysia, and I was there at the launch event. 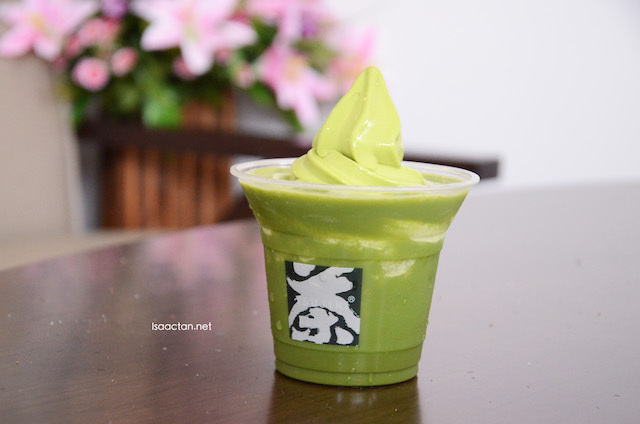 Check out some pictures and a review of the wonderful Japanese green tea drinks and desserts at TSUJIRI. A brief history on how TSUJIRI came about is in order. TSUJIRI was founded in 1860 by green tea specialist Riemon Tsuji, an entrepreneur who sought to improve the tea industry. Through several innovations, he found ways to enhance the flavours and sweetness of green tea, resulting in high-quality Gyokuro tea leaves, which is a breed of shaded green tea from Japan. Riemon Tsuji also designed a method of transporting tea leaves so that they could maintain their freshness after harvesting. Through his techniques, the benefits of green tea, known to be rich in antioxidants and believed to promote anti-aging, are maintained. Thus, TSUJIRI offers green tea rich in Vitamin A, C, E and Beta Carotene, as well as Catechin, which plays a role in burning calories. TSUJIRI offers a wide variety of green tea drinks and dessert, in fact I think I haven't seen so many green tea variations before. 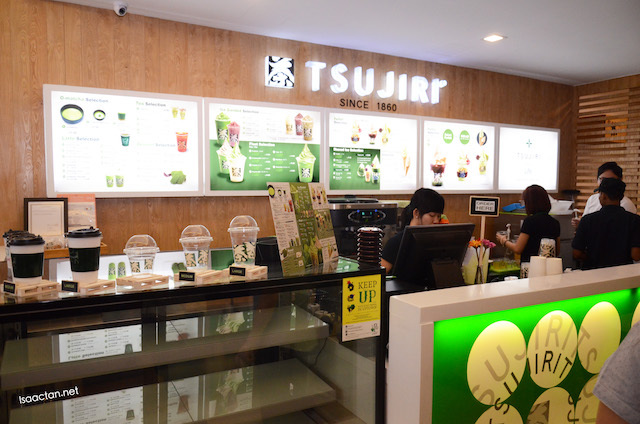 You are spoilt for choice when ordering at TSUJIRI, from O-matcha, Specialty Drink, Tea, Latte, Ice Blended, Soft Ice Cream, Parfait, Shaved Ice, to Sweet Selections for in-store dining. 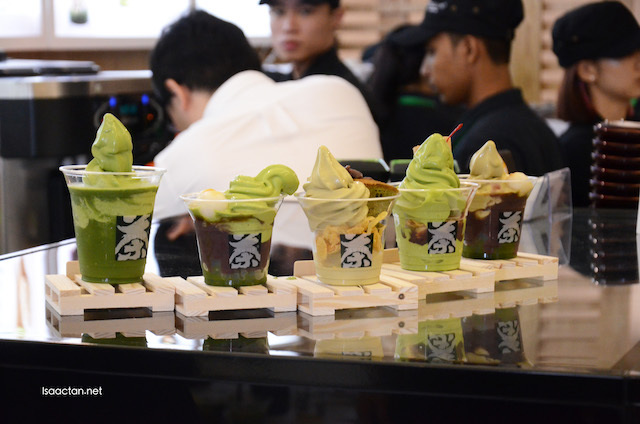 Customers can also purchase take-home products such as their O-matcha power and various blends of green tea bags. 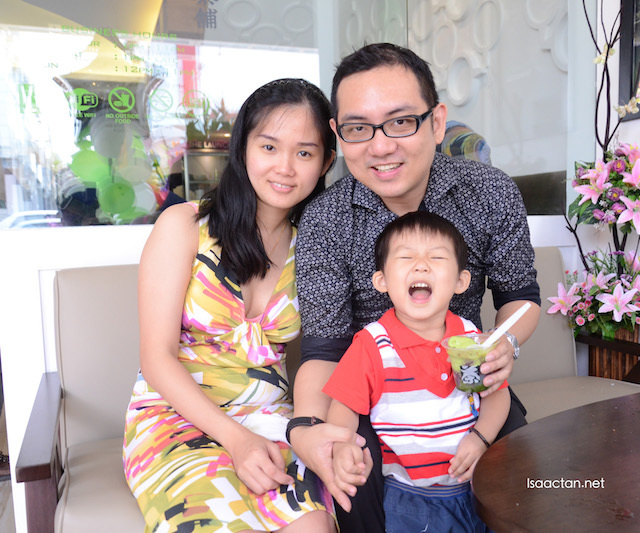 TSUJIRI’s outlet features a clean and simple environment in soothing green and white theme. Both the interior and lighting design presents strong, deep impressions of tea leaves. 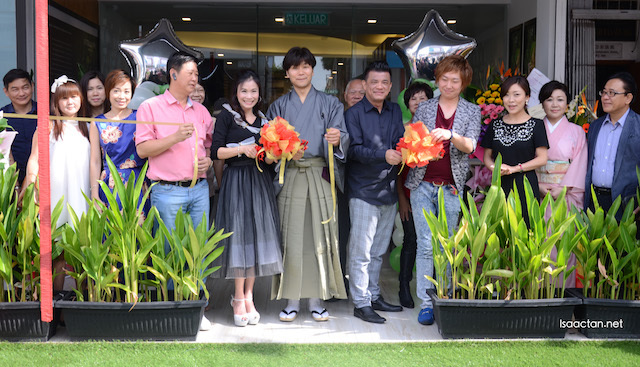 TSUJIRI has over 14 outlets worldwide including Japan, Taiwan, Singapore, China, Canada and Malaysia. The brand will also be expanding into UK, US, Australia, Indonesia and Thailand very soon. 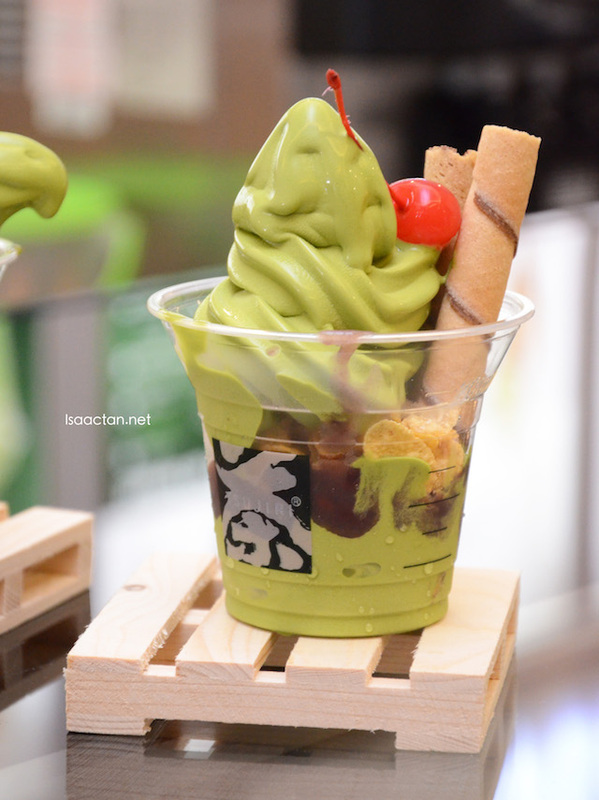 DO remember to check them out if you're in the vicinity of Damansara Uptown and crave for some Japanese green tea drinks and desserts. Matcha, not my favourite but I know many love it.